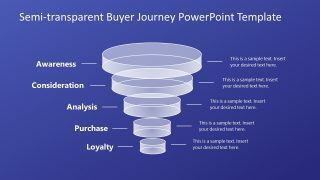 The Circular Arrows 5 Steps PowerPoint Diagram has chevron arrow ring slides with 5 segments each. The template has round arrows arrange in perfect circle to visualize the continuous process. For example, progress sequence of activities, tasks or events through stages in the circular flow. 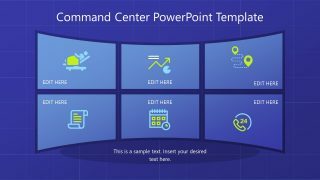 This 2-slide circular arrow PowerPoint has two diagram designs. Such as, the blue diagram with shadow effect on arrows and the flat vector colorful template. These circular flow diagrams are basically usable to present cyclical processes. Here, the outcome of one process is the input for another. Therefore, the visual presentation of recurring tasks is ideal for quality, change, sales and marketing concepts. For instance, create change management process and measure its sustainability by recurring monitoring procedures. 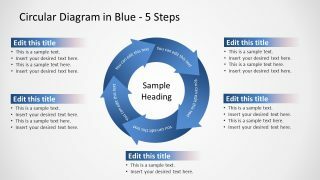 The Circular Arrows 5 Steps PowerPoint Diagram is a business concept to present many 5 segment cyclic models. For instance, the 5 step process of risk management which involves, identification, analysis, plan, monitoring, communication and repeated. Also, the PowerPoint slides of circular arrow diagram has placeholders of title and description for each segment. Additionally, the center of arrow diagram is available to mention the title of main topic. 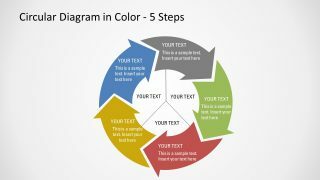 The users can make many customizations in this editable presentation template of 5 step process. These include changing the color theme by either selecting colors from design variants menu. 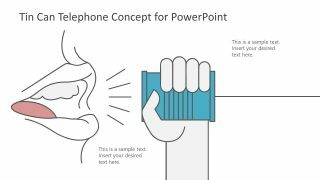 Or, select colors for individual PowerPoint shape from drawing format’s shape fill menu. 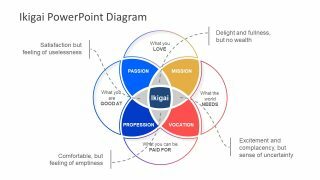 The slides of circular arrow PowerPoint diagram is graphical presentation of knowledge for quick yet interactive understanding. 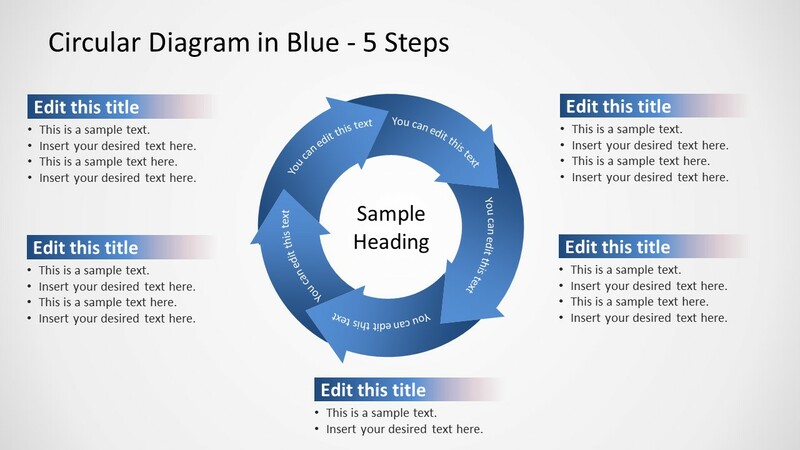 The blue circular diagram of 3 step PowerPoint is another attractive template available. These graphics enhance the audience’s ability to comprehend patterns and trends that leaves an impact. Further, the slide are useable as part of another main presentation. However, the user can copy the diagram and make more slides, highlight one step per slide and present independently. For example, explain 5 step business or project management model to business students.